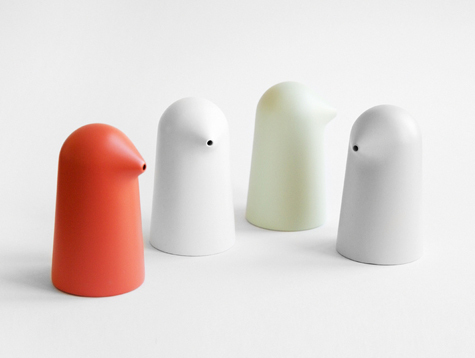 Dodo, designed by Petter Skogstad, is a small container for soy sauce or oil. The silicone body makes it easy to squeeze out liquid - and also adds to the adorableness of the vessel. like little ghosts! so cute!